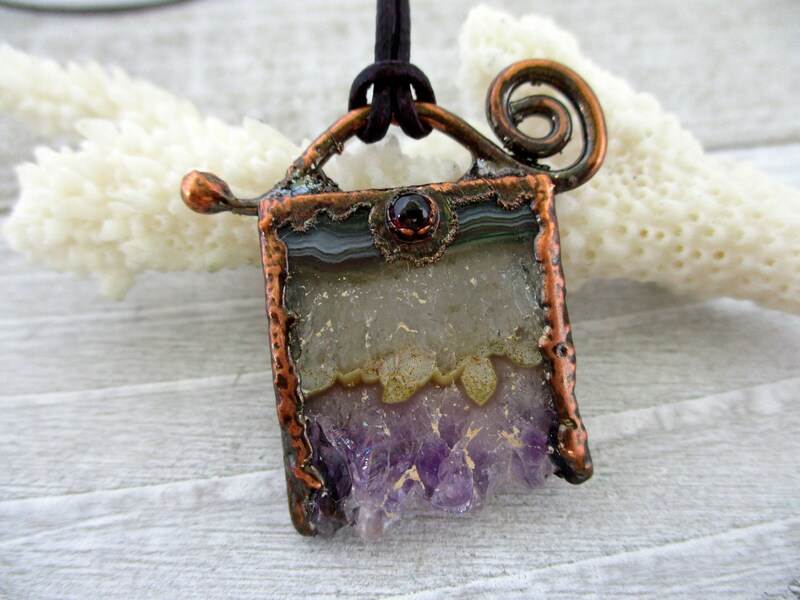 This slice of Amethyst druzy crystal has a tiny red garnet cabochon and then is surrounded with electrofromed copper. It comes with a necklace of either purple adjustable length leather, copper ball chain or copper cable chain. Choose your length and I will customize it just for you!